Mission statement boards co-inside with our first impression and staff boards. Similar to the first impression boards, we send one of our talented and creative photographers to your school, who will, with your brief take some beautiful natural images of your students in their learning environment. Whilst we are enhancing each image we will request the literature you would like us to incorporate onto your mission statement boards or banners. We will then send you samples of the photographs taken for you to choose your favourites. 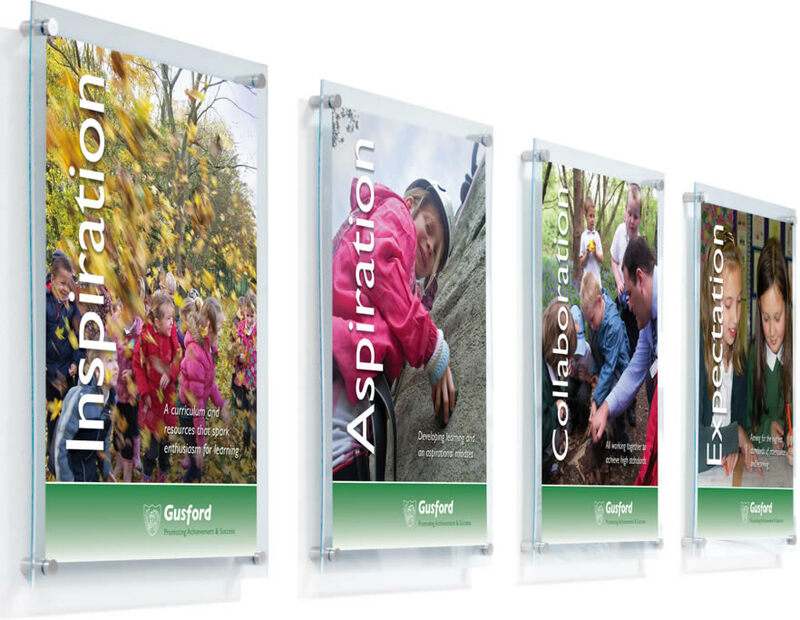 Once you have made your choice of images to use with your schools mission statement, this is when we can start to create your bespoke contemporary boards including school name and crests which enable these boards to give your school strong marketing with a clear branding and identity to any parent or school guest. These mission statement boards are also an effective way to remind pupils of what you are set to achieve within your school, whether it is to inspire or promote campaigns such as anti bullying. Which ever you choose you will find these mission statements a motivational tool to encourage and guide young minds into their adult life.